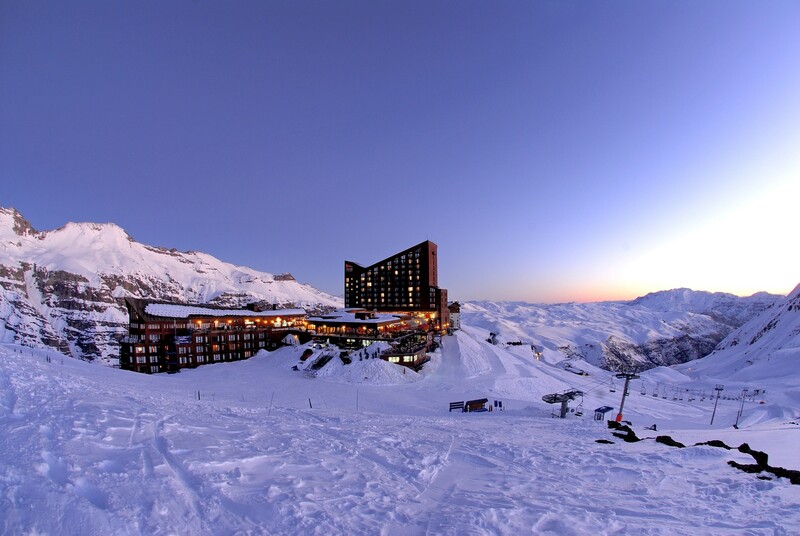 Valle Nevado is part of the Tres Valles (Three Valleys) of the Andes, which also include El Colorado and La Parva, and the resort is located just 90 minutes from Santiago, at nearly 10,000 feet in altitude. Guests who book a 7-night stay at Valle Nevado receive two interconnect tickets for free (1 ticket to La Parva and 1 ticket to El Colorado) as part of their all-inclusive packages. Valle Nevado has extensive terrain and long runs, with excellent off-piste terrain and world-class heli-skiing that is rated the best in South America. Valle Nevado was built by a French company, hence the European feel of the area. It is one of Chile's best developed resorts, with a full-service infrastructure that includes a pub, spa, shopping, new conference center, and an extensive, ever-growing range of lodging alternatives to choose from. Six restaurants give skiers plenty of options. This is a good bet for day skiing, too, with the resort's new Curve 17 Day Visitor Service Area. The resort offers Early Bird deals for up to 35% usually before March 15, and other promotional offers that run all season long such as 50% a second person during shoulder season. The heli-skiing at Valle Nevado is the best on the continent, with an average of 4,000-5,000 vertical feet in one run. The 2013 inauguration of the first gondola chairlift in Chile is one more step toward the resort's goal of creating a mountain village by 2020 -- but you'll find the goods at the back bowl area near the Ancla lift, with hardly anyone on the mountain and lots of long-lasting powder. Stop at a grocery store at the bottom of the hill before arriving to pick up beverages and snacks as there are only basic kiosks that sell a sundry of items. Get Snow Reports, Powder Alerts & Powder Forecasts from Valle Nevado straight to your inbox!